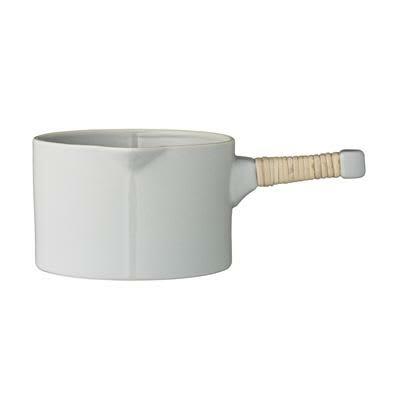 Grey ceramic serving pot with bamboo wrapped handle. Perfect for soups and stews, or even pouring gravy for roast dinners. Workshop SY1 in Shrewsbury, United Kingdom. You have great taste. This product has been viewed 100+ times this week.